I met Manu Prakash last year at a TED conference in Edinburgh. He is a very smart young professor at Stanford University. With a couple of co-workers he has invented the Foldscope. 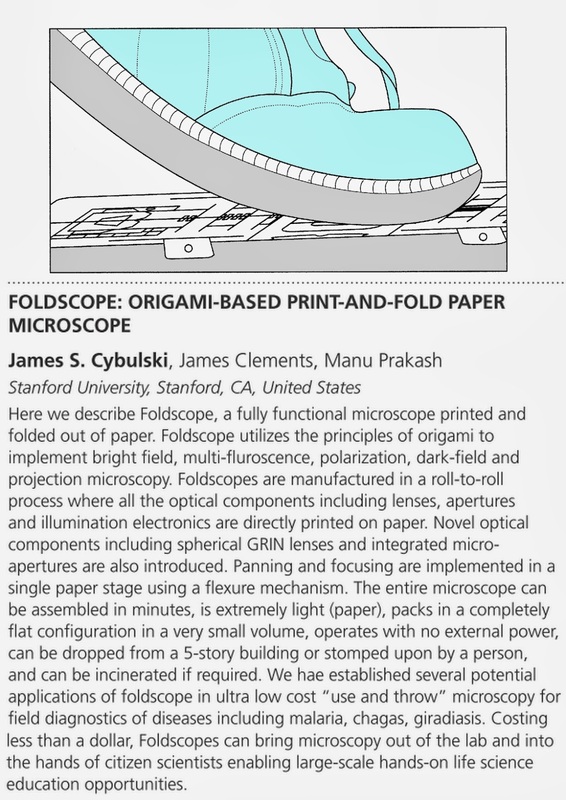 A folding, $1 microscope, that uses origami techniques to go from completely flat to functional. He has filed a patent (WO2013120091). An abstract of what it can do is below (with an illustration from the patent application indicating the Foldscopes response to being stomped upon by a person).